Usually we all go through life actively trying to avoid running electric currents through our bodies. Anybody who wee'd on an electric fence when they were younger will attest to that. But TENS is taking the home therapy world by storm. By running gentle electric currents through your body to stimulate muscles, you can give yourself a regenerating massage from the inside out. 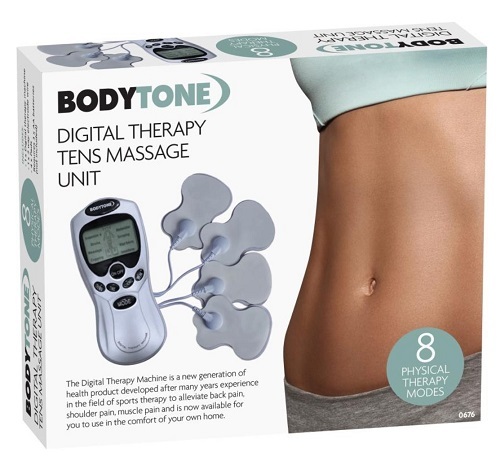 - Efficiently relax you from stress and tiredness, full-body massager! !